This topic contains 96 replies, has 29 voices, and was last updated by DirtyWhiteBoy 4 years ago. I use dry polishing diamond pads on my bosch variable speed grinder . Easier to see your work progression for me than wet. Really nice work Gerald, that table is super cool, is that effect on the side natural from the cut? It’s really nice. The ornamentation on the side was part of my mold building process . Very easy . I just put textured wall paper in the mold for the edge . The round shape of the mold was made from 3 1/4″ steel band material . I shaped the band material to size an sheet metal screwed it. Sprayed glue on the inside of the band , placed the wall on the inside of it . Mixed quick crete & water reducer & some polymer ,poured an vibrated . Then added glass to the wet mix on top . Troweled it in , let it dry . Ground an polished it . The ornamentation on the side I used smiths Paint an raged it in to color. this one to fit it?? Looks like that one is for a 6″ Dirty. The only 7″ that I see is for surface grinding. And its for there older model grinders. Maybe @Dabbs can find it for you. Cutting tiles? I think the weight of the 7″ would be a problem. I use my 4 1/2″ or 5″ VS grinder to cut tile. Wish I could help but all our grinding is done outside and without any dust collection on every size grinder. That is a beast of a grinder. 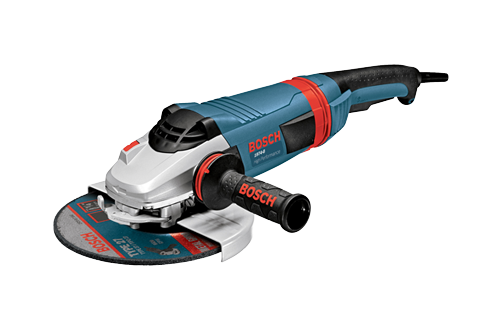 I just checked my Bosch catalog and there is an attachment for it for cutting just like the one Dirty shows – it is item number 19DC-7. Looks like they sell one for 9 inch and 12 inch attachments too. 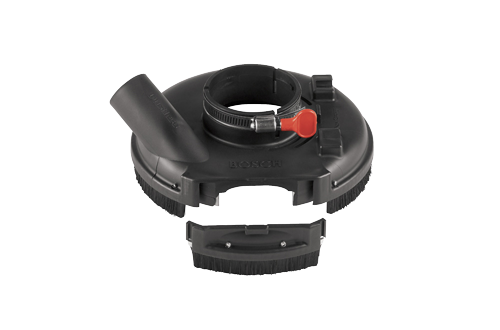 For surfacing attachments it looks like 18SG-7 and USG-7 are two available versions for the 7 inch grinder that Ron and Dabbs show. Not sure if these work with all current model numbers or not – my catalog is the 2012/2013 version, so a little outdated. I had seen the 19DC-7, but it says “Compatible with 1800-series 7-Inch Small Angle Grinders”. I didn’t know if it would work on the grinder Dirty posted? That one looks pretty heavy-duty. Yeah – I wonder if they changed anything or just need to update the model numbers. Cannot imagine that they would sell the grinders without the guarding/DC options available, but who knows. I got the surface grinding one with my grinder and it is pretty slick. You can pop the small section out to see what you are doing. I did see that one dabbs. There is no info on it tho?? I have a 4″-a4½” and a 5″ grinder and it’s for cutting tile. It’s to cut the grout lines down through the durock to demo the mess. We find the busting it up comes a lot easier if we cut it into quadrants. The 7″ grinder will shred a room fast and the weight is a non issue because they all weight the same when they are sitting on it’s table. 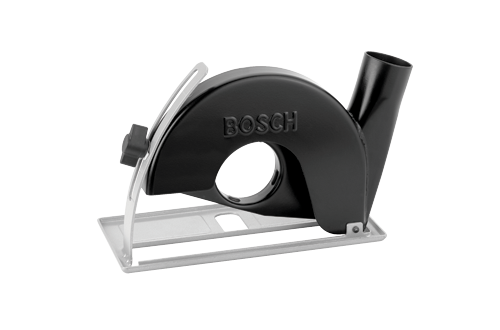 This grinder would cut as deep as my 7¼” skil saw but with dust extraction. It would fill the larger grinder void.